A comfy spot to drop by for a spell. 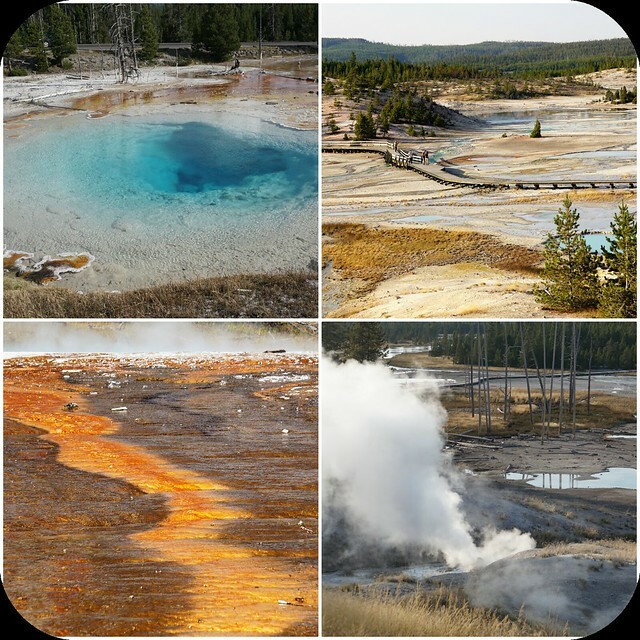 Yellowstone National Park spans parts of Idaho, Montana, and Wyoming, and is the first of fifty-eight national parks here in the United States. We visited Yellowstone for a few days last September. 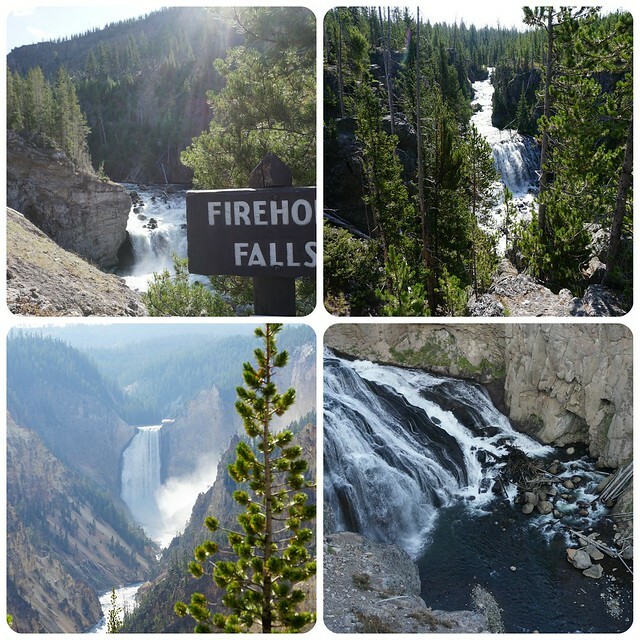 There are several waterfalls and cascades within Yellowstone. 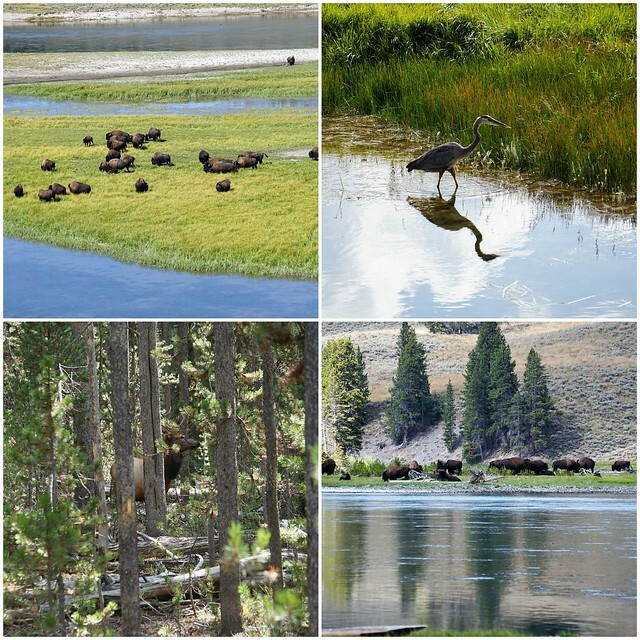 There are all kinds of wildlife in Yellowstone, including elk, buffalo, moose, bears and wolves. 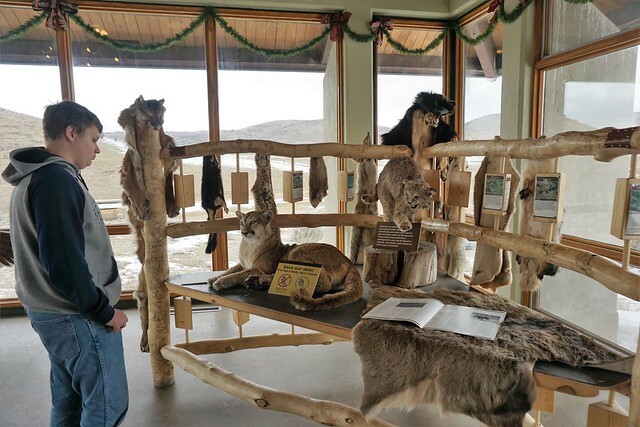 We did not see any moose, bears or wolves, although we did visit the Grizzly and Wolf Discovery Center. 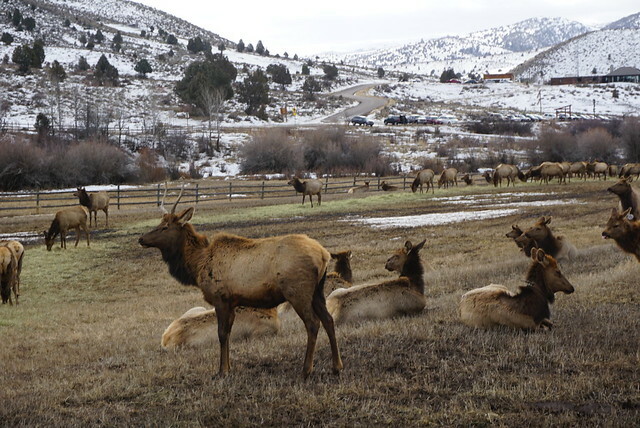 But, we did spot an elk in the forest and it was fun to watch the herds of buffalo. Always stay a safe distance from all wildlife, and if you hike in Yellowstone, carry bear spray and know how to use it. 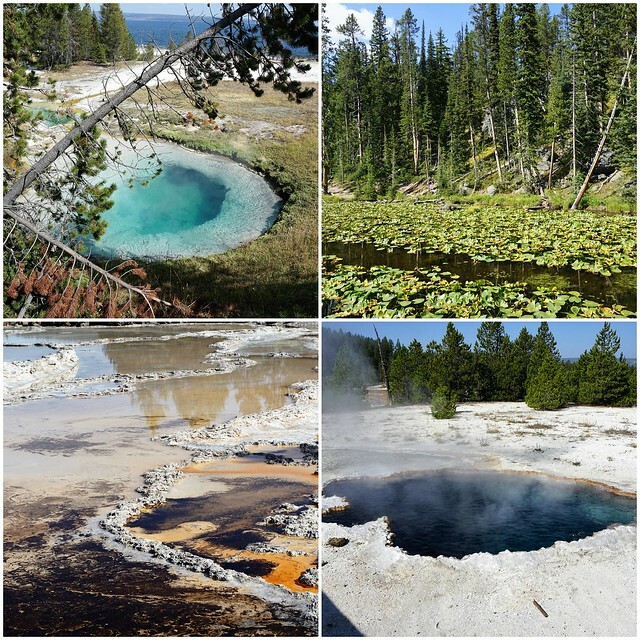 We discovered that visiting Yellowstone in September was just as busy as summertime. 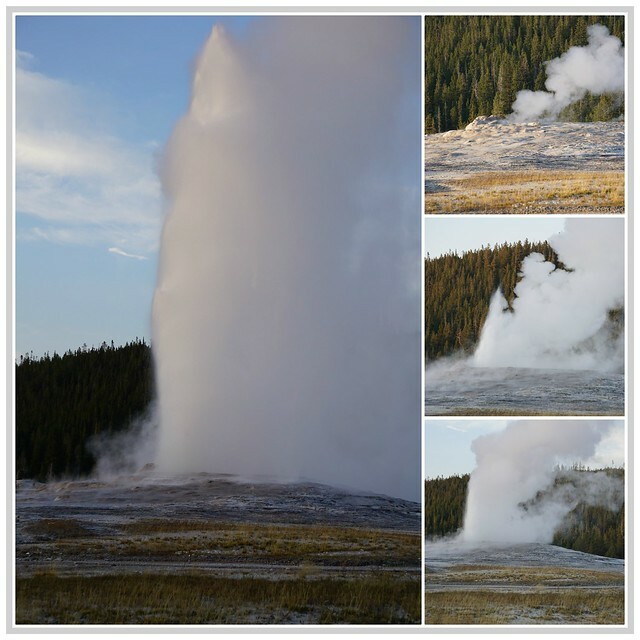 If you go at a busy time, be patient because driving through Yellowstone gets slow-going and the most popular attractions stay packed with tourists. It wasn’t too crazy, though. We stayed at Stage Coach Inn, in West Yellowstone, and found it to be a nice hotel. 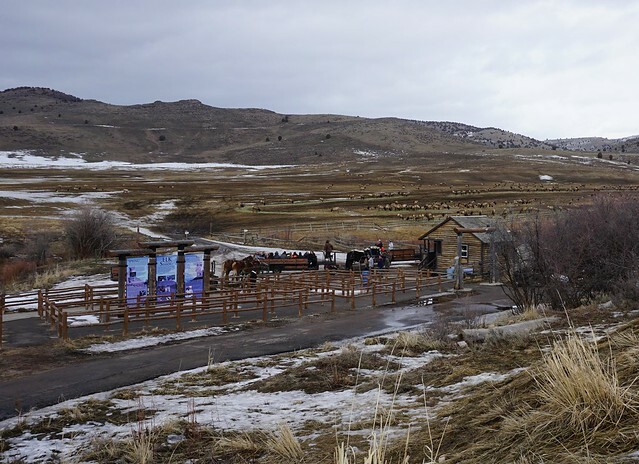 Last Saturday we visited Hardware Ranch Wildlife Management Area, located in northern Utah up Blacksmith Fork Canyon. 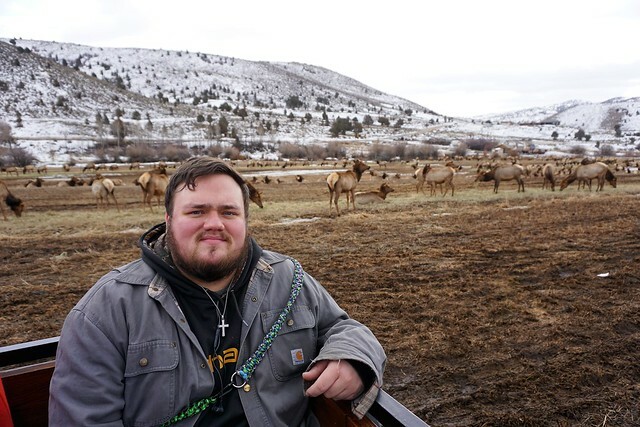 It’s the tail end of elk season there and this has been on my bucket list since December. This is the view of the meadow from the parking lot. The weather was mild which was nice, and as you can see, there is very little snow here this winter. And this is the view from the meadow, looking up to the visitor center on the hill there. 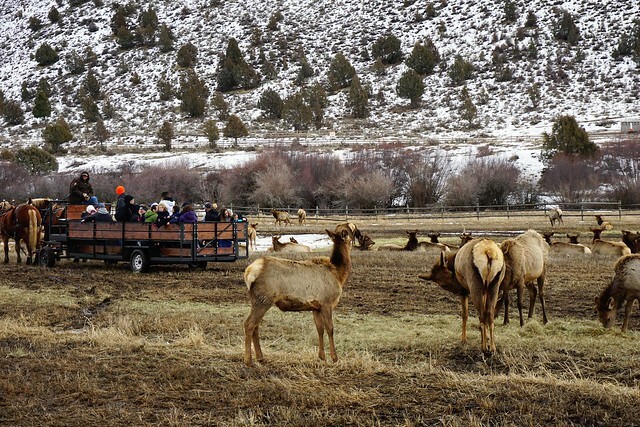 The visitor center has restrooms and is the only place where tickets can be purchased for the wagon rides through the elk. Tickets cost $5 for ages 9 and up, $3 per child ages 4-8 (3 and under is free). The wagons seat quite a few guests and several were running on the day we visited. If there had been snow on the ground, it would have been a wagon-sleigh ride, which we’ve been on before. Our ride was approx. 40 minutes long with lengthy stops for Q&A and photo ops. 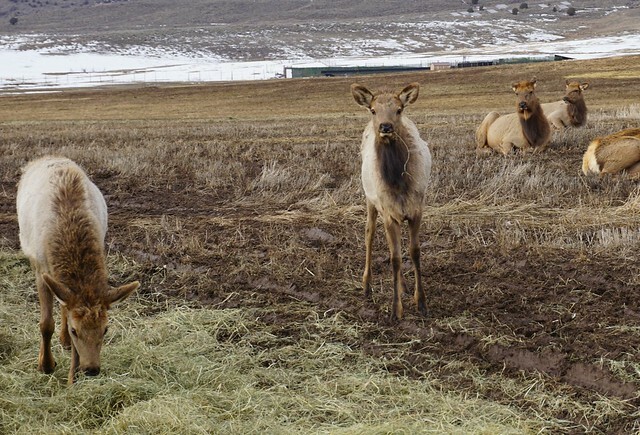 These are Rocky Mountain Elk and there are approx. 350 in the meadow this year. 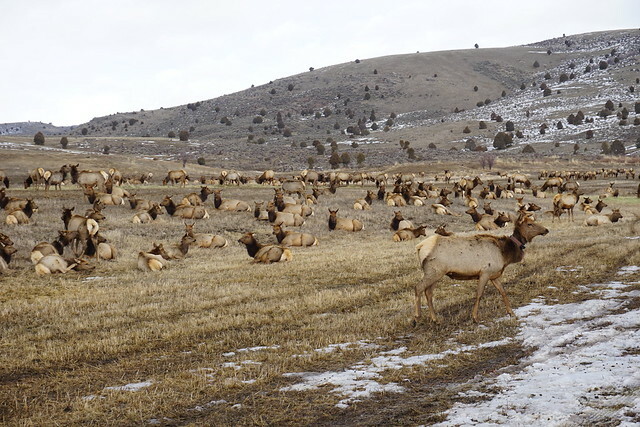 That is at least half of what there were last year and it’s always a guess as to how many will return each year because these elk come and go as they please. They will leave for the summer months, retreating back into the mountains. 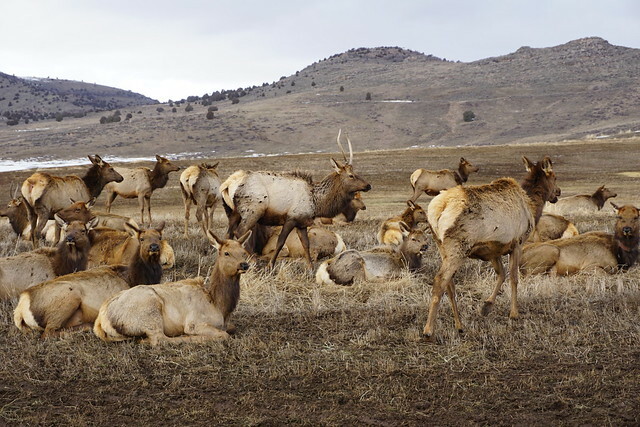 You probably know that a male is called a bull, a female a cow, a baby a calf, and a yearling a spike. We were told that only 60% of calves make it to their first year. 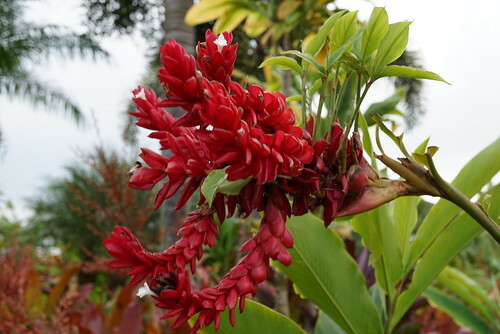 Visiting the lovely Hawaiian island of Oahu? 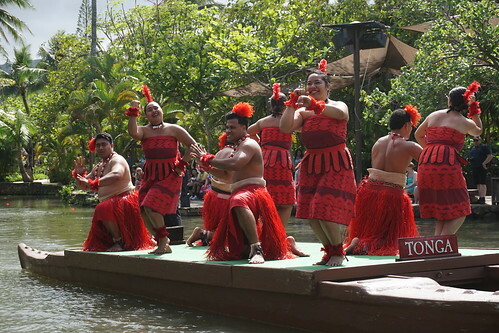 So far, I’ve highlighted Pearl Harbor and the Polynesian Cultural Center as two great tourist destinations on Oahu. 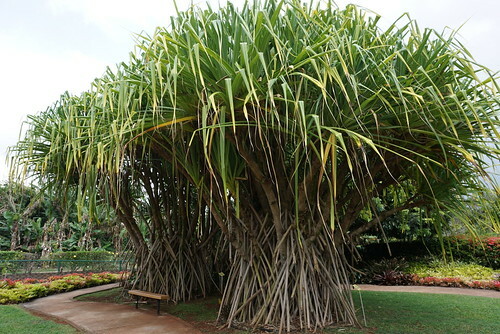 Today I want to add the Dole Plantation to my list. Plan to spend 2-3 hours here, possibly longer depending on how many experiences you choose. 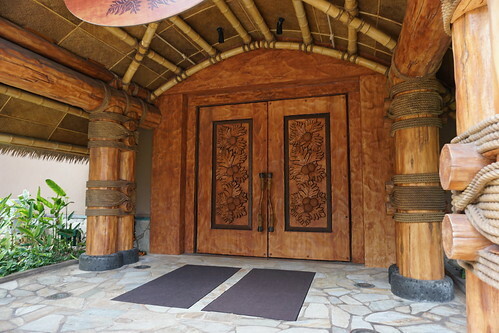 First you’ll enter their specialty store (not pictured), where you’ll be tempted by all kinds of fun merchandise, including pineapple specialty treats. There are also pineapple cutting demonstrations and a grille. Don’t miss out on a tasty Dole Whip. Yum! This train just unloaded its passengers and was on its way to pick up more. 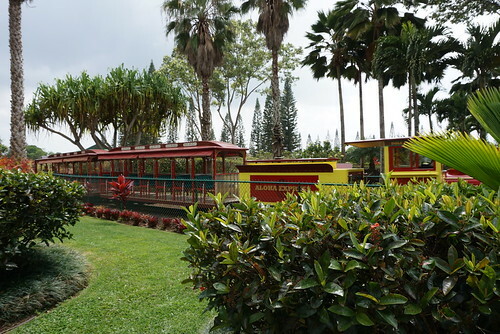 From the store, venture out back where you can purchase tickets to ride the Pineapple Express train. 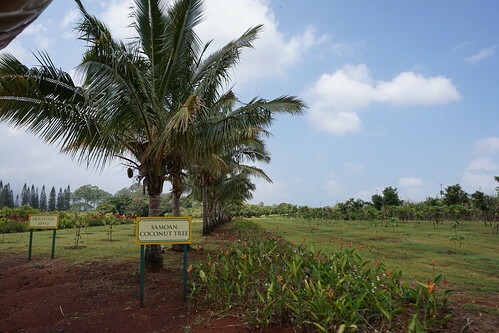 This is how you tour the plantation fields. And who doesn’t enjoy a train ride? 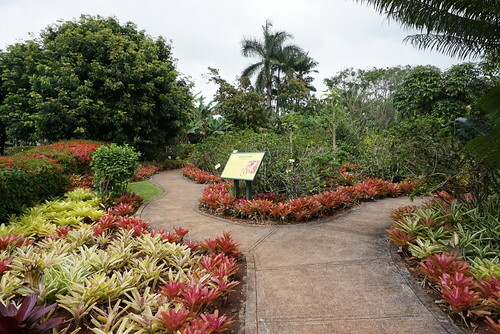 There is also a giant garden maze to explore, but I can’t tell you anything about it because we only took the train ride and walked through the lovely gardens. But it sounds fun! 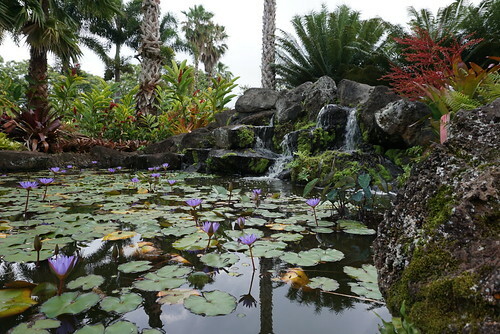 So, if you find yourself in Oahu (lucky you!) 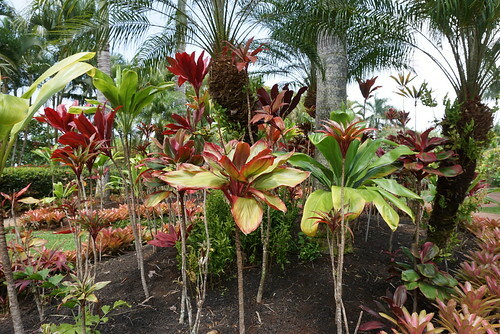 than I recommend a visit to the lovely Dole Plantation. 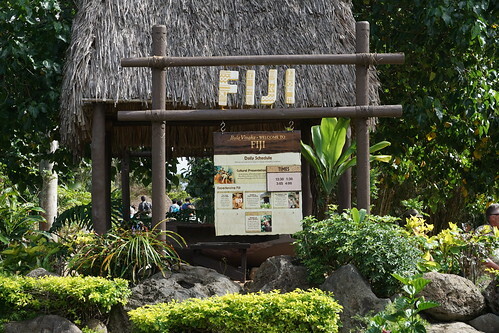 Another place we visited (or I should say re-visited) while in Oahu earlier this month, was the Polynesian Cultural Center. Best to arrive as soon as it opens and spend the whole day as there is much to see and experience. This is a cultural delight your entire family will enjoy. One of the lovely views within the center, seen from a canoe ride or walking across the bridge. There are six cultures represented here: Aotearoa, Fiji, Hawaii, Tahiti, Tonga and Samoa. Each one has its own village, offering unique performances and interactive demonstrations. You might learn a new game with sticks, prepare a local food native style, or make your own woven headband. 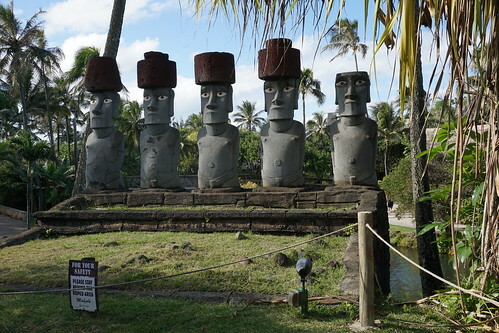 Moai statues, representing Rapa Nui (Easter Island). Guests may freely tour the villages themselves or participate in a tour, as we did. This was our sweet tour guide, Brooklyn. We spent most of the day with her, visiting each village as she explained traditions and history. 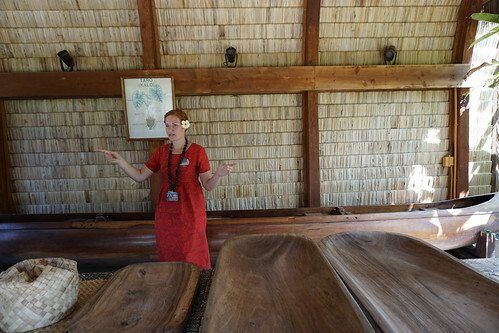 We caught at least one attraction in each village, took the canoe ride, and here she was explaining how the taro plant becomes poi (a traditional Hawaiian food). 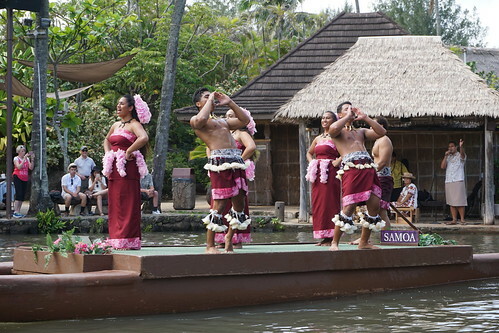 After a full day of village hopping, enjoy a luau, which is what I recommend for first visits. As we had experienced the luau before, we thought we’d try the prime rib buffet. The main difference is that the luau has Hawaiian entertainment as you dine on traditional luau food (quite yummy and served buffet style), while the delicious prime rib (and crab legs) buffet forgoes the show (although we were serenaded with the song, You Are My Sunshine, in honor of our anniversary). Aren’t these doors beautiful? They lead into the dining hall where the prime rib buffet is served. Whatever you do, don’t miss the evening show, Breath of Life. It’s simply spectacular! I have no pictures of it since photography is not allowed. Just trust me, this is will be the perfect end to your day here. ♥ Thanks for stopping by! 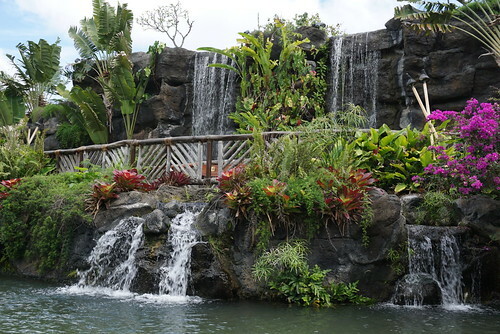 If you visit the Hawaiian island of Oahu, there are some great tourist stops. One is historic Pearl Harbor. My husband and I were there just this past week while we were in Hawaii celebrating our 25th anniversary. 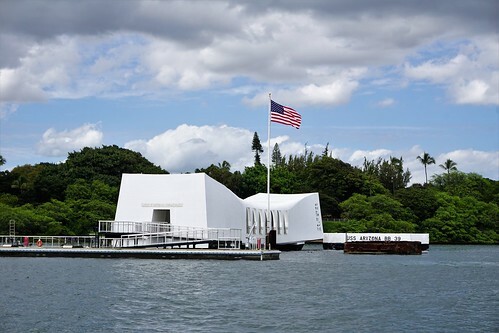 USS Arizona memorial. 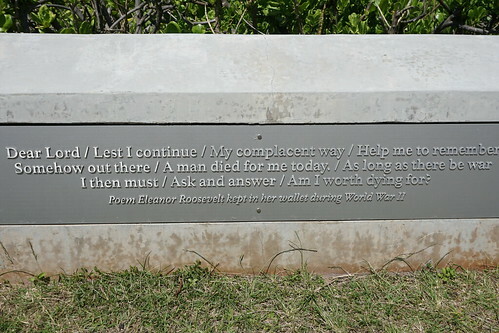 You are brought to this remembrance site by boat. Admission is free, but no bags or purses are allowed inside unless they are completely see-through. There is a holding place for bags just outside the entrance (for a small cash fee). 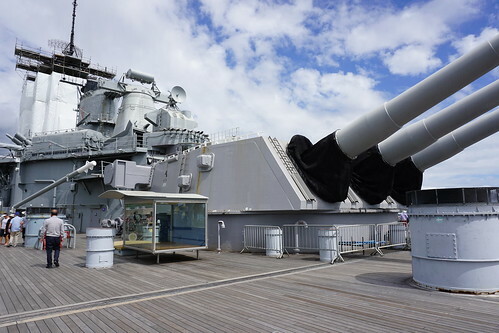 There are walk-through exhibits which are free and give a detailed history of the events leading up to the attack on Pearl Harbor, as well as the attack itself. For a charge, there are headsets available with audio tours. 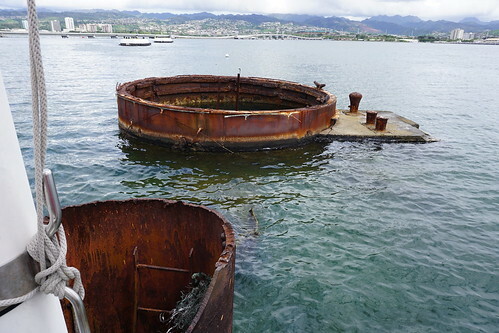 Inside the USS Arizona memorial. 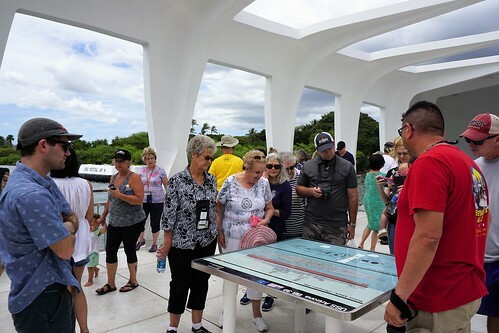 The USS Arizona memorial is also free, but requires a ticket for each party member as only a certain amount of people are allowed at one time. We reserved our tickets, with a specific time slot, the day before. This tour begins with a film just over twenty minutes. 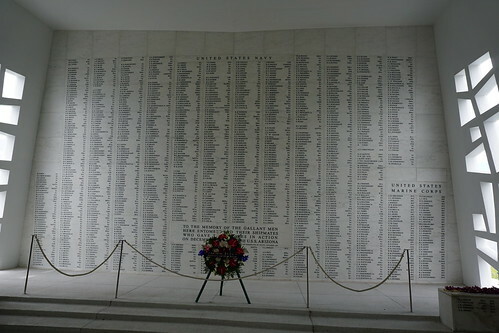 Inside the memorial is a wall with the names of those who died on board the USS Arizona. 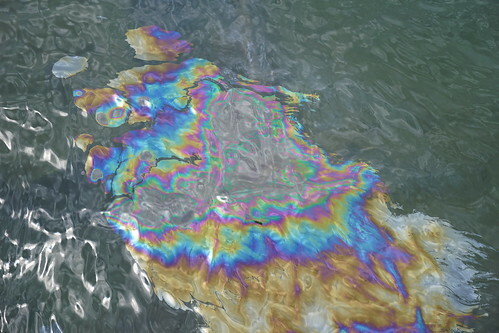 Part of the USS Arizona sticking out of the water. 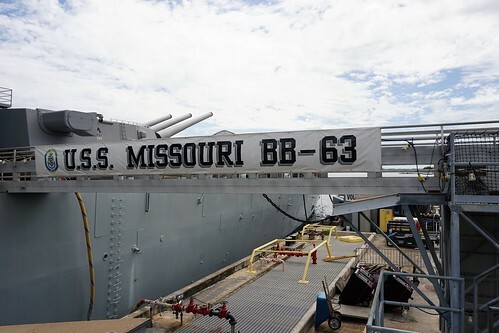 Guests visiting this special memorial are encouraged to do so quietly, in a spirit of respect to those it honors. This is a time of remembrance and reflection. This banner was over part of the ramp. 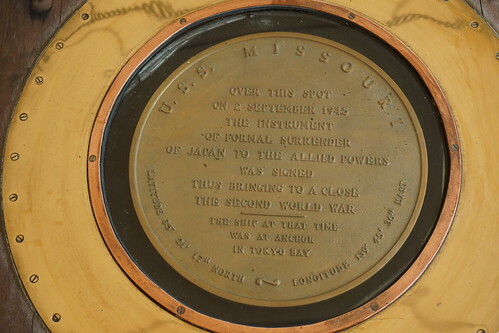 It was aboard the USS Missouri where Japan formally surrendered. 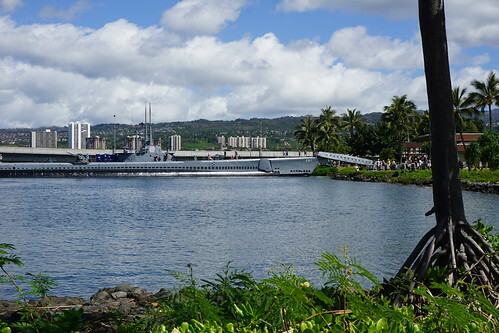 If you get the chance to visit beautiful Oahu, make sure you stop at Pearl Harbor for a day.